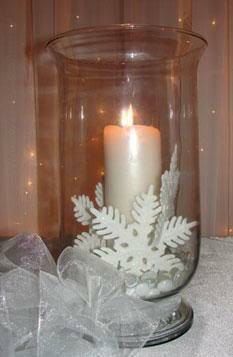 Winter wedding reception centerpieces can be a beautiful touch to a wedding occurring in the colder months. If you are getting married in the winter there are many small touches that you can add to your wedding ceremony and wedding reception to ensure that the beautiful wedding season shines through on your big day. 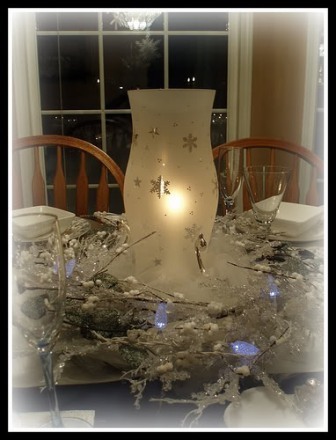 Keep on reading for ideas and photos of Winter Wedding Centerpieces . One of the easiest ways to work winter wedding reception centerpieces into your wedding is by focusing on the different color schemes of winter weddings. Once you choose one or more main colors for your wedding you can choose of design winter wedding centerpieces around those colors. We are going to suggest several different appropriate wedding winter wedding colors for you to consider. White is the most popular wedding color, regardless of the season. White symbolizes purity, wholesomeness and newness - such as the newness of being married instead of engaged. White centerpieces work whether white is a main color in your wedding scheme or your just using white to emphasize the pureness of the wedding. 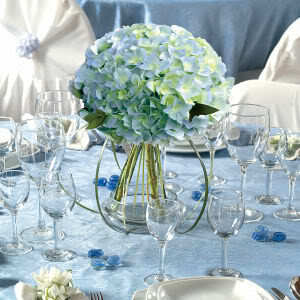 There are plenty of white flowers that you can use in your bouquets, decorations and centerpieces. Of course the two flowers used the most tend to be white roses and white calla lilies. Red is a great color for winter weddings. 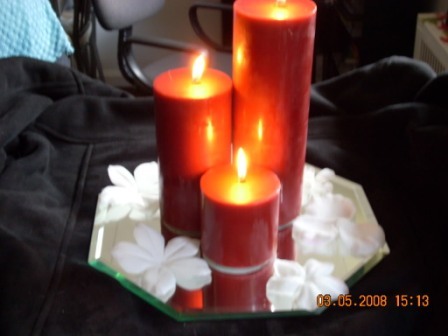 You can use holly, red candles or flowers such as red roses. Red is bright and bold, symbolizes passion and love. Red is an obvious choice if your wedding is around either Christmas or Valentine's Day. If you are getting married around Christmas the other obvious winter wedding color is green. 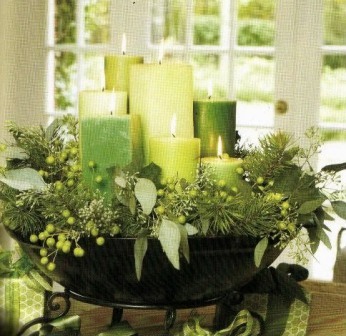 Green is a great color and even if you do not want to use green flowers you can use green candles, greenery, or mini pine trees. Ice blue is another fabulous winter wedding color. It reminds you of snowy winter days, icicles hanging from trees and plastered on the window. Ice blue can be used alone on it can be paired with other winter colors (like the ones listed above) or you can add jewel tones or metallic colors. Some great colors to add include bronze, silver and gold.